The research on the best treatment of persistent pain strongly recommends a team-based approach. Our team comprises highly regarded experts in chronic pain. We seek to help people by providing careful assessment and appropriate treatment tailored to each individual. 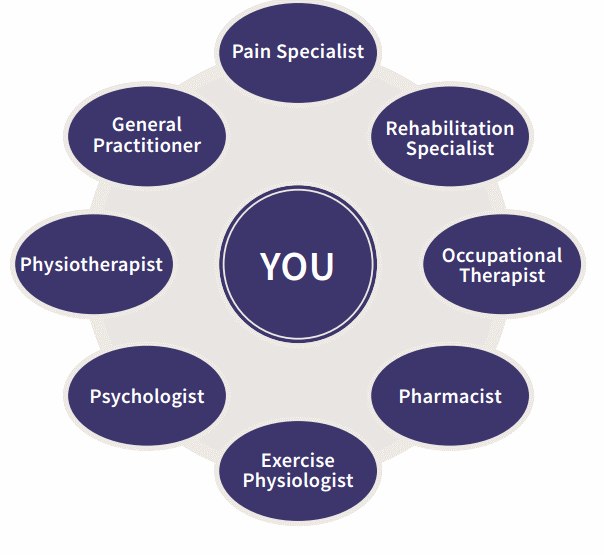 Every patient is encouraged to develop their own individual goals, in collaboration with the Pain Team, that they would like to achieve from the program.